Oppo has launched Oppo R15 Pro smartphone with a 6.28-inch display screen. The phone is successor to Oppo R15 smartphone that was launched few months back (March 2018). The mobile phone comes with 6 GB of RAM and 128 GB internal storage. Oppo has earlier released Oppo R17 and R17 Pro, Oppo F9 Pro and F7 etc. with mid-range features and budget. Some released with top notch and few waterdrop notch etc. If you are interested to know Oppo R15 Pro smartphone's key features, technical specification, price, first impression, unboxing, review, comparison and hands-on etc. then you could find some of them over here. The phone is powered by Qualcomm Snapdragon 660 processor (Octa-core (4x2.2 GHz Kryo 260 & 4x1.8 GHz Kryo 260) and paired with 6GB RAM. The internal storage of the mobile phone is of 128GB with an expandable memory option up to 256GB through microSD card. Oppo R15 Pro comes with AMOLED 6.28-inch display. The cell phone comes with 20+16 megapixel dual rear AI-enhanced camera setup and 20 megapixel front shooter or selfie purpose. This may have the best low light result for sure. 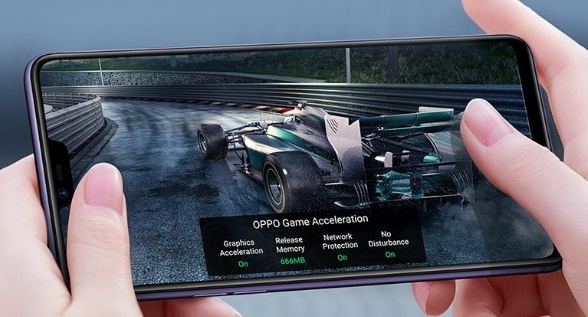 You can check Oppo R15 Pro gadget's specs and price detail below. We would update mobile insurance detail soon. This could be one of the best smartphone by the way. Tips: The latest upgraded smartphone from earlier one Oppo R15 that was launched few months back. Good to go with this as well.